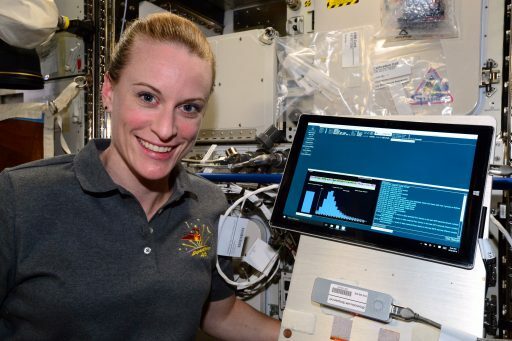 DNA was successfully sequenced in space for the first time this weekend aboard the International Space Station as part of a study exploring whether operational DNA sequencing systems are a feasible and valuable addition to the Station’s scientific repertoire. 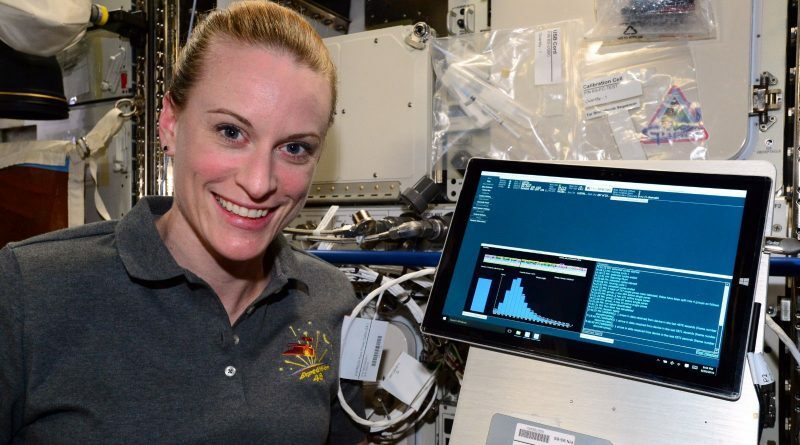 The experiment – performed by trained microbiologist and cancer researcher Kate Rubins – used the Biomolecule Sequencer hardware, the first device capable of performing DNA sequencing within the framework of a space mission (microgravity environment, mass limitations, crew safety). The ability of sequencing the DNA of living organisms in space is of extreme value to the scientific community and also opens up a number of medical possibilities for long-duration flights of the future. To date, samples had to be returned to Earth to undergo sequencing in laboratories on the ground which is much more expensive than analyzing the sample on board and sending the collected data to the ground via radio. 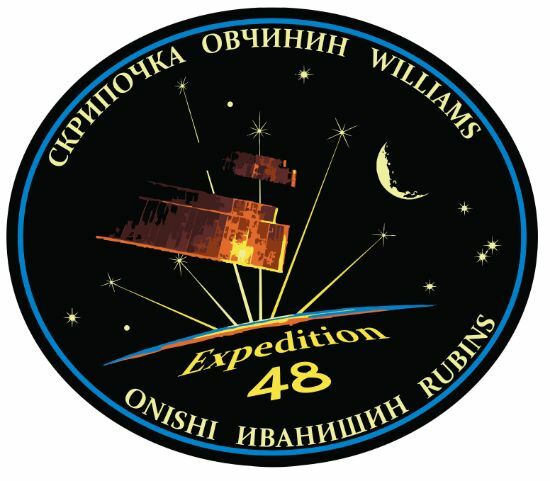 The Biomolecule Sequencer hardware was flown to ISS on the Dragon SpX-9 cargo mission in July to demonstrate the ability to sequence DNA in space. DNA sequencing can be beneficial for future space missions – astronauts could diagnose illnesses, identify microbes growing on their spacecraft and, further down the road, use the technology for astrobiology research looking for lifeforms beyond Earth. 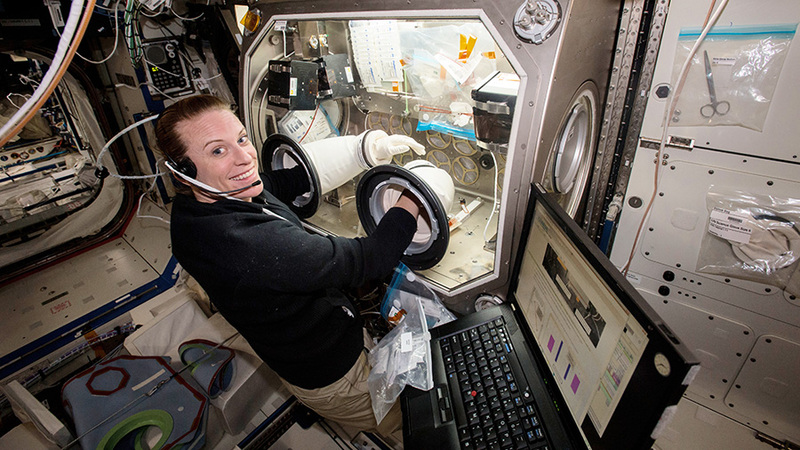 The Biomolecule Sequencer proof-of-concept has twofold objectives, looking at the functionality of DNA sequencing in microgravity and crew operability of the system in the space environment. 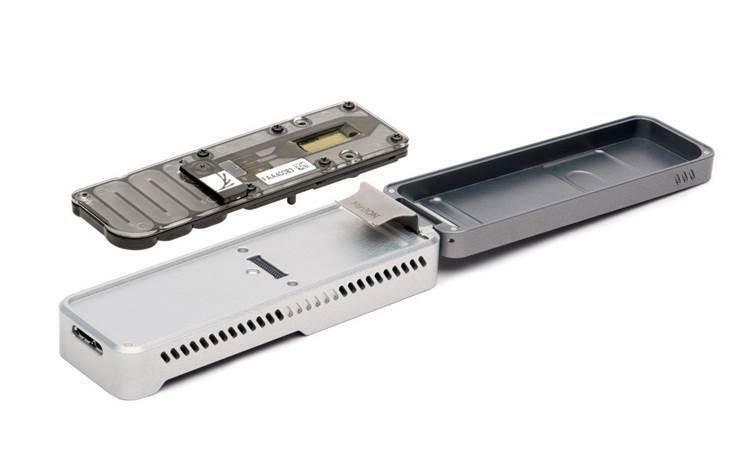 In contrast to other platforms currently in development for DNA Sequencing using the Polymerase Chain Reaction, the Biomolecule Sequencer determines the nucleotide sequence of individual molecules of input DNA without target-specific primers (strands of DNA that serve as the starting point for the synthesis of DNA). Therefore, rather than detecting specific targets, the Biomolecule Sequencer will be applied universally to provide data on the entirety of a sample – allowing DNA from a range of organisms to be sampled. 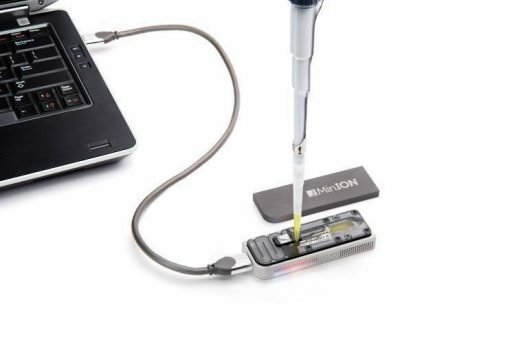 The core piece of the Biomolecule Sequencer is MinION, the actual sequencing device coming at the size of a thumbdrive, 9.5 by 3.2 by 1.6 centimeters in dimension. The 120-gram device makes use of exchangeable flow cells that feature nanometer-scale pores through which DNA stands are passed while currents diagnostic of the DNA sequence are measured. A normal sequencing run with the device can last up to 48 hours and collected data is transmitted to a Microsoft Surface Pro3 via a USB Interface to be then downlinked to Earth. 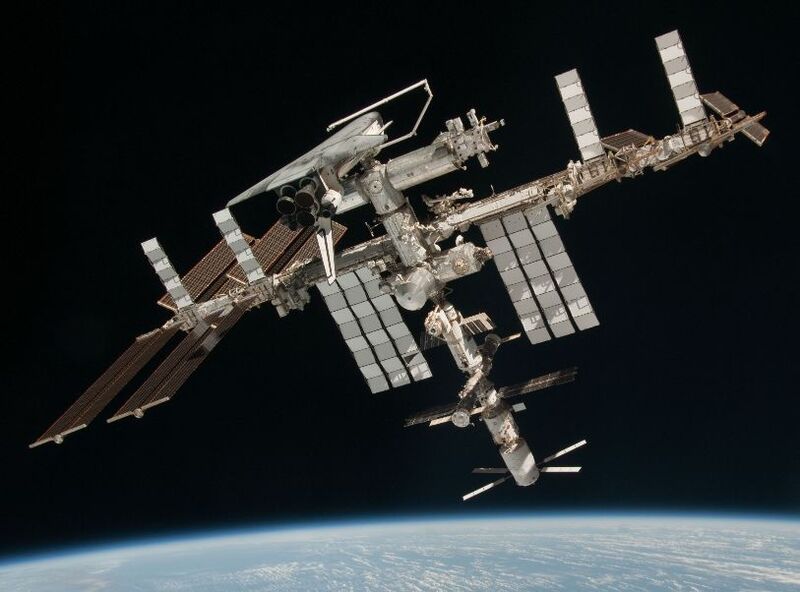 For the initial Biomolecule Sequencer Investigation, samples of mouse, virus and bacteria were sent to the Space Station to put very different DNA strands through the machine and then compare the DNA sequenced to that obtained from a ground-based sequencer. The experiment was run in space and on Earth at the same time so that spaceflight conditions (microgravity, radiation) were the only variables in the test. All samples in the experiment had been fully sequenced beforehand so that researchers knew what to expect from the test. Performing laboratory techniques developed on Earth in the space environment always presents a number of challenges. 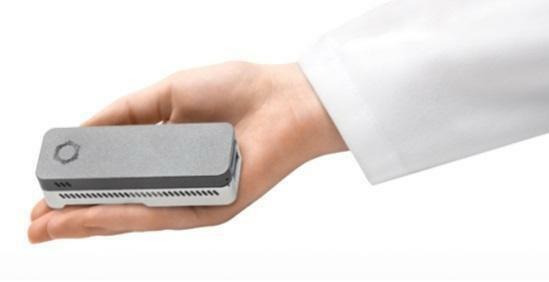 For the nanopore sequencing technique, one big unknown was the behavior of air bubbles when introduced into the liquid DNA sample. On Earth, bubbles will rise to the surface, but in space they could block the nanopores and influence the test results. Assessing this and other factors is the precise purpose of the Biomolecule Sequencer experiment, providing scientists with hands-on experience to evaluate whether the MinION can deliver accurate and repeatable results in the space environment, withstand the extreme environments of launch and expose any factors that generate errors in the DNA sequence. An initial test run with the MinION was performed as part of NASA’s Extreme Environment Mission Operation (NEEMO) aboard an underwater habitat off the coast of Florida, allowing the device to be checked in a different pressure, temperature and humidity environment. So far, the tests performed in orbit and on the ground match up very well though some steps are still to be demonstrated because only prepared DNA samples were tested up to this point. 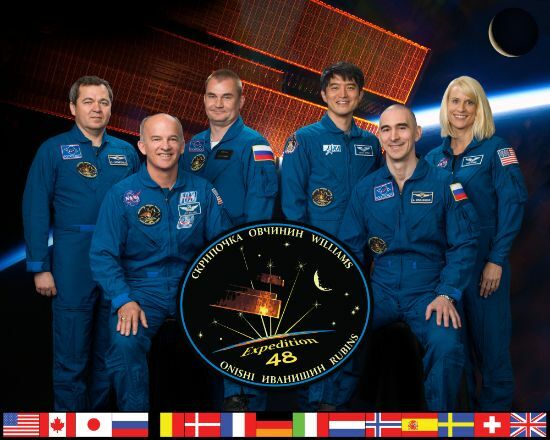 Another item on the agenda will be the verification that the crew can prepare a sample, transfer it to the device and sequence the DNA aboard ISS. When the entire sample collection to sequencing process has been proven with known DNA sequences, the crew can move beyond working with known DNA and begin sampling as part of the various studies in progress aboard ISS.